Legs: 26'' H sideleg with a polished top. Boulders were hand-picked and meticulously matched for shape, color and texture. 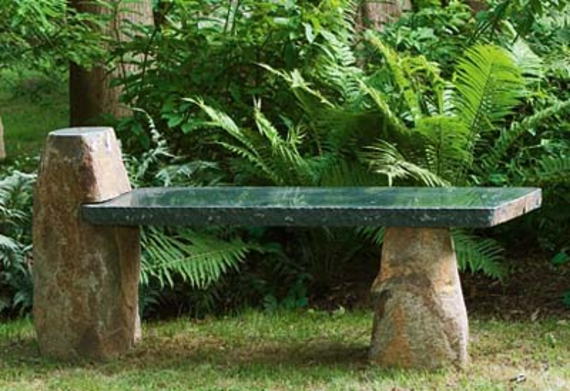 Some call this a bench, others call it a functional piece of art.